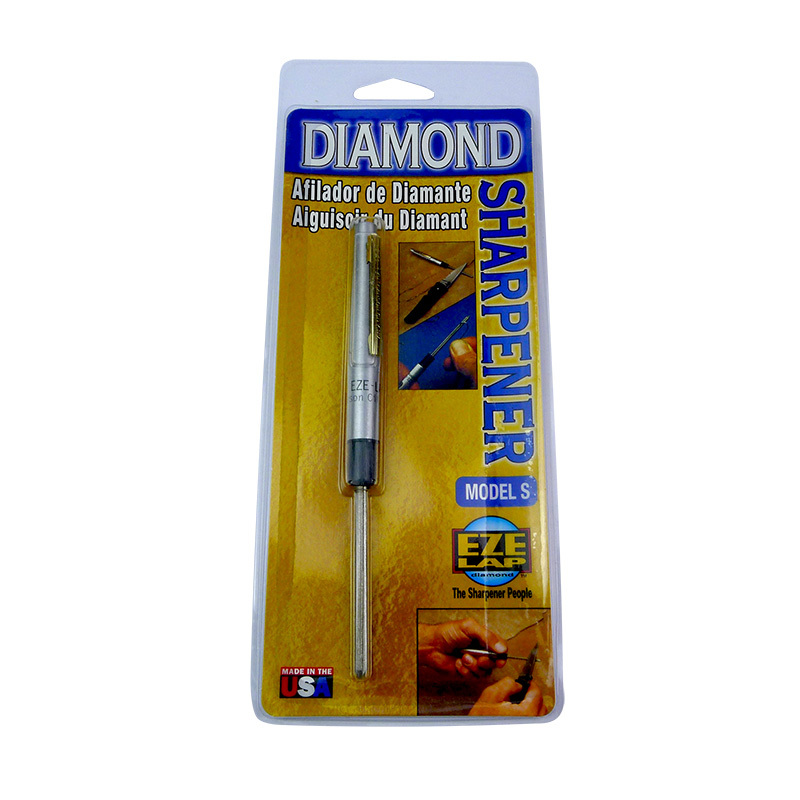 Quailty diamond fishing hook sharpener essential for every angler. Possibly the world's best hook sharpener. 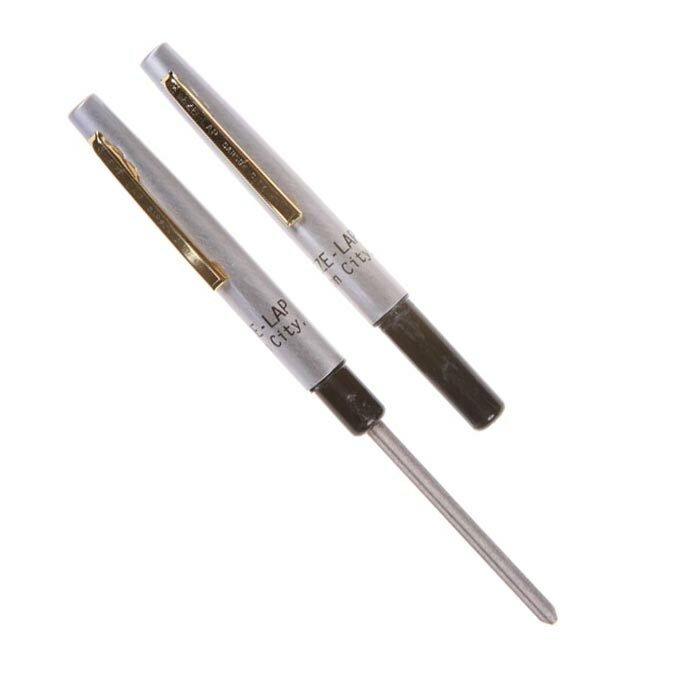 Grit diamond hone, with groove for point sharpening. 2-1/4" Diamond D shaped shaft with groove for fishhooks. Grasp the point of the hook between forefinger and thumb as if to squeeze the point. Force the EZE-LAP between your thumb and finger so it contacts the point or barb. Your thumb and finger act as a sharpening guide to achieve the right angle. Test the point on you thumbnail. If it skids on your nail under very low pressure, sharpen it again. Be very careful not to puncture your nail with the ultra-sharp point EZE-LAP will give your hook. The EZE-LAP Model “S” pocket clip tool has a small flat area with a groove on the back of the sharpener. A hook is sharpened by rubbing the point back and forth in this groove, with the final finishing strokes made into the point.